The next general election will see the debut of the Voter Verifiable Paper Audit Trail Units (VVPAT). The move comes amid the criticism of electronic voting machines by BSP leader Mayawati, Delhi chief minister Arvind Kejriwal and at least a dozen other opposition parties including the Congress, doubting the veracity of the EVM counting and demanding a paper trail to back it up. Mayawati had blamed her party’s loss in Uttar Pradesh assembly election to faulty EVMs, and written a letter to the election commission. Kejriwal too blamed the EVMs for his party failing to make the cut in Punjab. 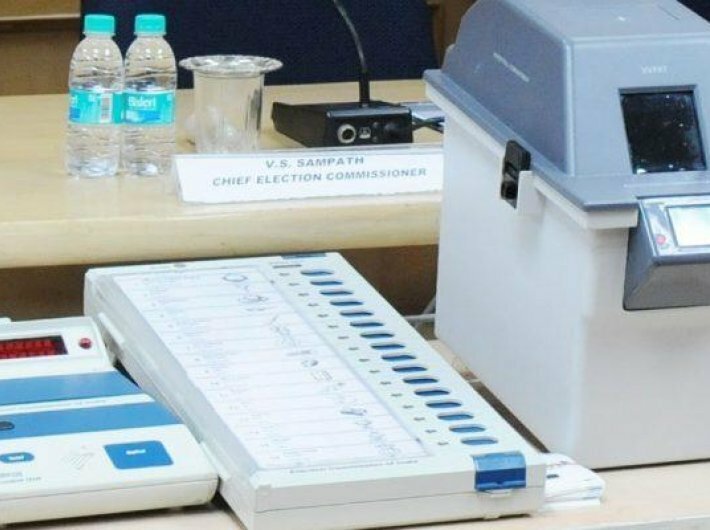 As many as 16,15,000 VVPAT units will be purchased at a tentative unit cost of Rs19,650, and at a total estimated cost of Rs 3173.47 crore from Bharat Electronics Ltd., Bengaluru, and Electronics Corporation of India Ltd., Hyderabad, the union cabinet decided Wednesday. There will also be allocation of additional funds to the tune of Rs 1,600 crore in the current financial year in the supplementaries/revised estimates for meeting the cash outgo envisaged for purchase of EVMs (control units & ballot units) and VVPAT units during the year 2017-18, payment of 40% of the amount as advance to the manufacturers and for provision of balance amount as may be required in 2018-19. BJP leader Dr Subramanian Swamy had moved court in 2013, pleading for directions to the election commission to use VVPAT units in all polling booths. It was alleged in the petition, that the EVMs are not reliable and that there should be some device by which the voter should get a confirmation that the vote cast by him has been recorded in favour of the candidate of his choice. The election commission submitted that it has no objection to the introduction of VVPAT units for conduct of free, fair and transparent elections. The supreme court in its order on October 8, 2013 directed that for implementation of such a system of VVPAT in phased manner, the government would provide required financial assistance. The VVPAT will act as an additional layer of transparency for the satisfaction of voters, allaying any apprehension in the minds of the voters as to the fidelity and integrity of the EVMs. The idea of an additional layer of transparency for the satisfaction of voters in the form of a ‘voter verifiable paper trail’ was suggested by the political parties in a meeting taken by the election commission October 4, 2010. As many as 20,300 VVPAT units were purchased by the election commission in 2013. Since then, these units are being deployed in elections in select assembly and parliamentary constituencies. Subsequently, order for 67,000 additional units was placed in 2015, out of which 33,500 units have been supplied by the manufacturers. VVPAT device functions like a printer to be attached to the ballot unit and kept inside the voting compartment. When the voter presses the button against the name of the candidate of his choice on the ballot unit, the VVPAT unit generates a paper slip, called Ballot Slip. This paper slip contains the name, serial number and symbol of the chosen candidate. The voter can see this slip through a screen window where it stays for seven seconds, and then it automatically gets cut and falls into a sealed drop box. In this process, the slip will not go into the hands of the voter nor will others be able to see it.